If you run regular events or are launching a new event that you would like to hold again, then please promise me you won't forget your testimonials. Testimonials are the social proof that helps people decide whether or not they want to come along to your event the next time around and are an important part of your promo in the lead up. And basically why they should listen to you and pay money to be in a room with you. Do you want to run an event but find you freak out every time you think of the costs involved? Don't despair - it is possible to run events on a low budget. Even on NO budget. I've done it before both in my charity work and in my current events with my clients. Don't let money be the excuse to hold you back! We all kinda feel like we can do everything ourselves right? At home it’s the cleaning, the shopping and the child wrangling. In your business it’s your core client work, the administration, the graphic design and bookkeeping. And when things get busy and the you-know-what hits the good old proverbial fan, my god don’t you feel streeeeetched. The same goes for events. It can be completely do-able to organize and run everything yourself, but if one thing falls out of place, you can guarantee the rest will follow suit and you will end up one stressed little chook. Even if my clients are running a super straightforward event for a small group of 15 people, I always recommend they have someone to help them. It can be a friend, your sister or your husband. It doesn't matter who it is as long as they aren't in an old pair of trakkie daks and they have your back. And to be honest, this isn't just about you. It’s about who are in the room with you and what they deserve as an attendee. 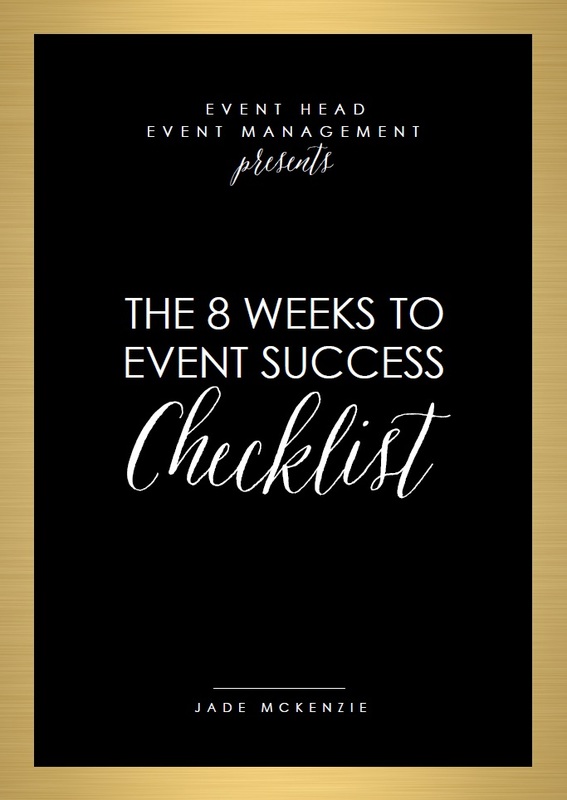 So here are three good reasons why you need help at your next event.